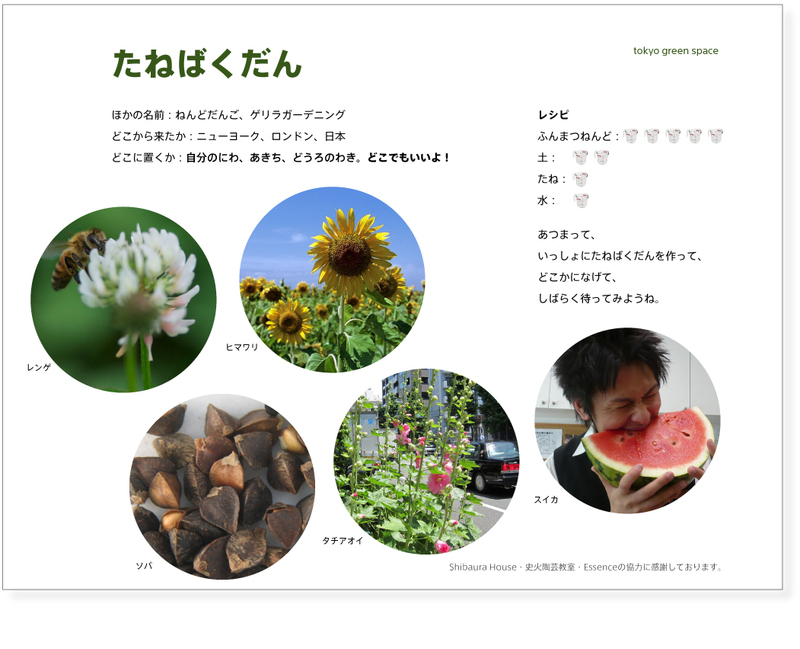 This is the handout I made for the Shibaura House seed bomb workshop for kids. The recipe is 5 parts powdered clay, 2 parts soil, 1 part seed, and 1 part water. Thinking about the season, late spring, just before rainy season, I chose clover, soba, sunflower, hollyhocks, and watermelon. Corrected: Below are photos from the event, taken by Naomi Muto and written up by Shirakuma Ikuko in Japanese. It’s funny that my instructions were to make balls (dango), but the kids enjoyed making shapes like stars, bows, donuts, Jupiter, and even a black hole. In the afternoon, the adults who attended the kick-off talk event also participated in vegetable planting on the 4th floor. 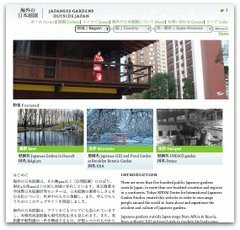 Shibaura House is tweeting the growth of their new garden! Cool, thanks for pointing me to this project. The handout looks cute (I can’t read Japanese). I like the idea of planting edible things with seed bombs. Did the kids eat watermelon to obtain the seeds for the project? It would be fun to combine seed saving with seed bombing.